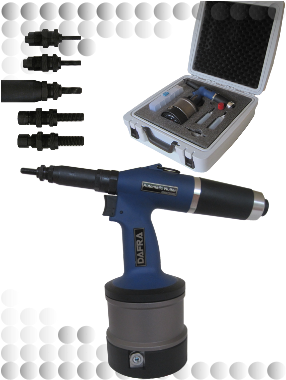 Air Hydraulic Rivet-Nut Tool (spin/pull) with adjustable stroke control. 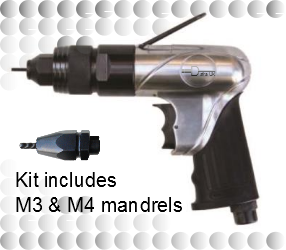 Supplied c/w carry case including full set of nose assemblies. 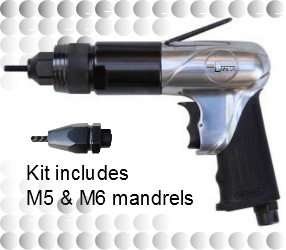 Includes M4 M5 M6 M8 & M10 mandrels. Add to cart button for UK sales only. 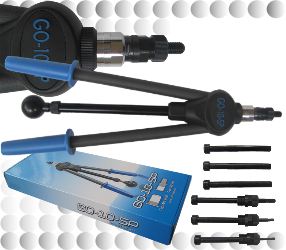 Please contact us for overseas sales. 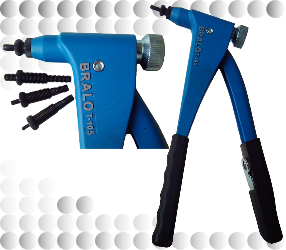 Professional quality hand operated rivnut tool with high quality cast aluminium body. 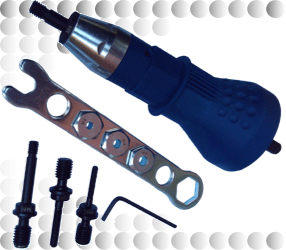 The tool works in a similar manner to a standard plier type rivet tool. 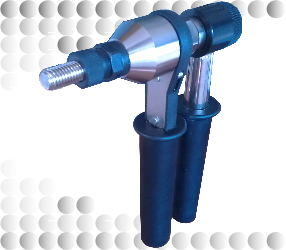 Air Hydraulic Rivet-Nut Tool (spin/pull) with adjustable stroke control. Supplied in card carry case including full set of nose assemblies. 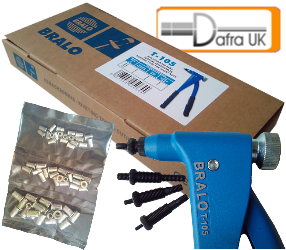 A simple and reliable pistol grip tool for aluminium and steel rivnuts only. 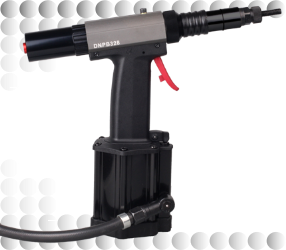 Tools are supplied with two nose assemblies, additional nose assemblies sold separately. 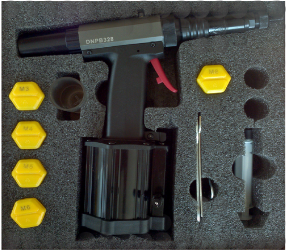 Air/Hydraulic rivnut installation tool capable of setting M5-M12 rivnuts in all materials, suitable for both production and jobbing work. 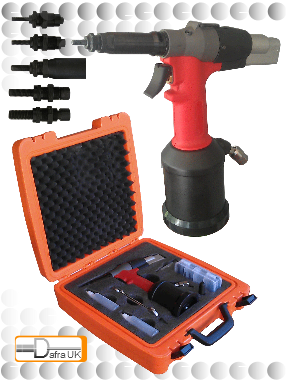 Supplied c/w carry case including full set of nose assemblies. Setting cycle is about 2 seconds.